Saturn - The Lord with the ring. So, just wanted to make this post about Saturn and clarify lots of misconception about it. As I have found and learnt over the years from my own life and study about Astrology, Saturn & Jupiter have the biggest say in any major event of our life. In another post, I described how Saturn becomes the Big Boss of all the other planets. Saturn is the original ruler of 10th house of career and 11th house of earnings in our horoscope. So, Saturn holds the highest say in matters of our career and income. Now, why is Saturn always connected with hardships? We love to be in our own dream world, we don't want to see reality of things. We just want to ignore it as long as possible. At least 90% of us are like that. And Saturn brings reality in our life. It tells us on face that Dude, you were stupid till now, its time now to be smart and live in reality. And we feel terrible that our dream world is destroyed by Saturn, so it assumes a negative image in our thought process. Saturn and Jupiter both are teachers, but Jupiter is a motherly teacher who teaches with all the emotions whereas Saturn is a teacher with a stick who wants to take a test also after giving lesson, just to make sure we learnt it perfectly. Saturn gives lessons of reality in life. 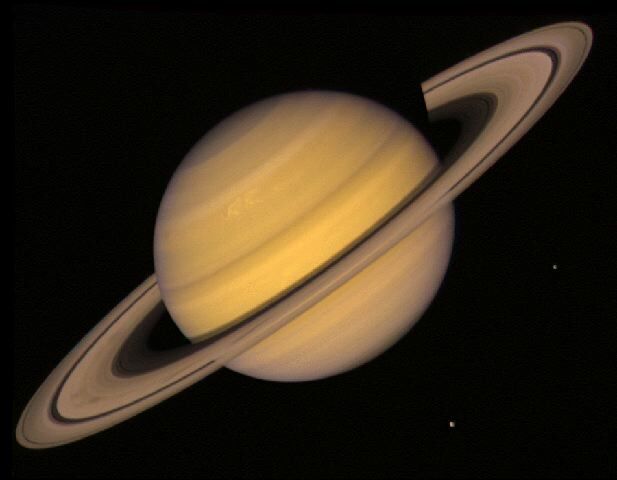 Saturn represents delay, restrictions, limitations and boundaries in our life. Wherever Saturn is placed in our horoscope and whichever house it is ruling (Saturn rules over Capricorn and Aquarius), things related with that house comes in our life with considerable delay (if not aspected by Jupiter) because Saturn wants to teach us a lesson of patience. In reality, we didn't treat the same things too well in our past life or we misused those things, so Saturn is delaying these things so that we know their value. Like, if someone has Saturn in 10th house of Career (without any positive aspect of Jupiter or Saturn being in Libra) then his career and authority at workplace will be delayed till mid 30s because this guy misused his authority in his last life, so Saturn wants to show him the importance of having an authority by not giving him authority. Why mid 30s? Because every planet has a maturity age and Saturn's maturity age is 36 years. After attaining majority age, every planets starts behaving favourably. As said by Alyssa Sharpe, Saturn is also our strict father putting restrictions and limitations in our actions and choices. You want to have it but you cant have it. In Alyssa's words - He is like that father who is standing behind a kid and saying - "Dude, you cant go to party tonight, because you have classes tomorrow morning". So, Saturn is no doubt putting restrictions but those restrictions are for our own benefit. As reality is for our own benefit rather than being in illusion. And Saturn causes delay, the best example is this post, which I thought to make yesterday but was able to make it today with one day delay. Saturn has delayed this post too.